Introduced in 2017, gender pay gap legislation means that every employer with 250 or more employees has to publish the differences between what they pay their male and female staff in average salaries and bonuses. This is the second year that employers have been required to report their data. The Government Equalities Office (GEO) estimates that around 50% of relevant employers have put in place an action plan to tackle their pay gap. Ministers want to see that number increase and the GEO have published guidance to encourage employers to identify why they have a gender pay gap and how they can work to resolve it. Latest statistics from the ONS show that, across all employers, the median gender pay gap is at a record low of 17.9%, down from 18.4% the previous year. “Actions to tackle the gender pay gap are good for business. That’s why we have produced support to help employers close their gaps. 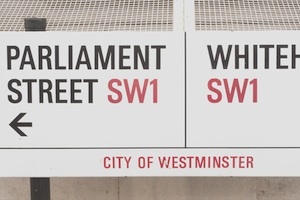 Over the past year, the Government Equalities Office (GEO) has been working with employers in a number of sectors to encourage them to put in place detailed and effective action plans to reduce their pay gap. One of these is the retail sector which has a large number of female employees working in customer facing roles. The British Retail Council are working with their members, supported by GEO, to increase the opportunities for women to progress to more senior roles while retaining the flexibility that attracted them to the sector in the first place. “We know that many people choose to work in retail because of the flexibility it offers. With more than half of jobs in the industry offered on a part-time basis, retail supports women and other individuals who cannot, or choose not to, work full-time.